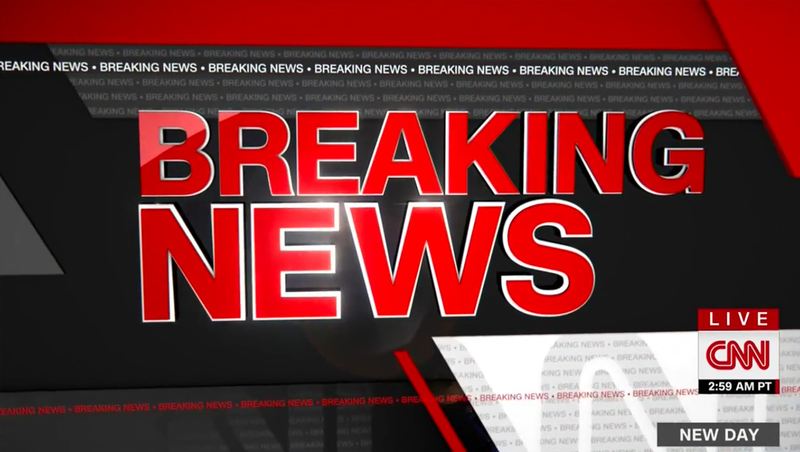 CNN has introduced an brighter and flatter breaking news stinger. The new look switches to a flatter look with angled elements. 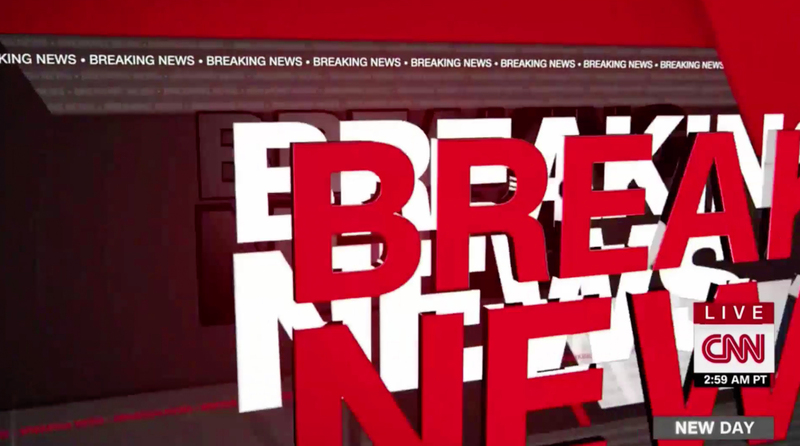 Updated typography, in CNN Sans, has the word “Breaking” in a slightly smaller size, with “News” below it. This causes the tope line of text to “hang over” the bottom slightly, whereas the old look had both lines squared off. Two versions of the words float in the 3D space — one in white and the other in red — which come together on screen where the white letters become an outline on the red ones.